Ο Βαγγέλης Πεσιρίδης παίζει και τραγουδάει ένα παραδοσιακό επιτραπέζιο σκοπό με τίτλο “Για Τ’ εμετέρτς”. Για τ’ εμετέρτς τη Πόντιους τραγωδείς με τ’ εμένα”. 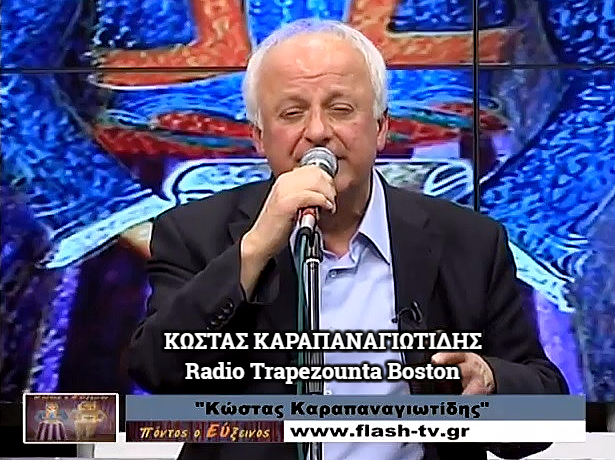 Vaggelis Pesiridis sings and plays a traditional Pontian folk song titled “Gia T’ emeterts” (For our people). 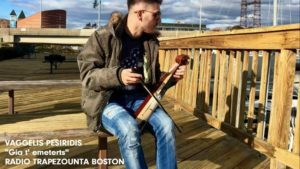 23 years later, Vaggelis Pesiridis, grandson of Misha, and son of Steve Pesiridis from Boston, sings and plays his grandfather’s song, honouring both his grandfather and his father, who would have been very proud of him and his brother Michalis as well. The two brothers Vaggelis and Michalis honor their grandfather and father by following in their footsteps and playing and singing Pontian music.